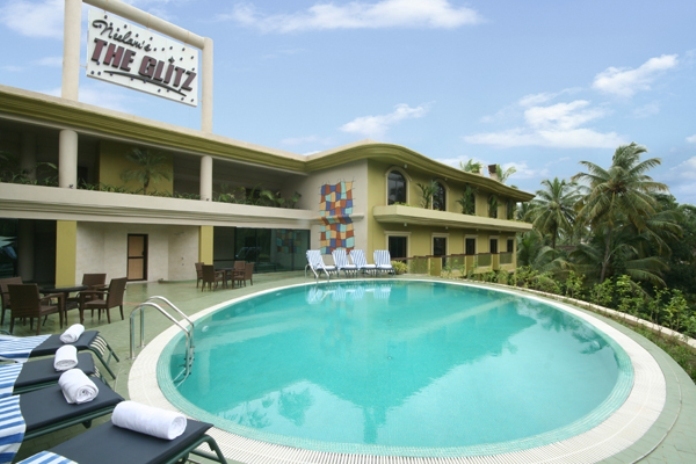 The Glitz is a luxury resort offering 4 star category facilities and located at a beautiful location near Calangute Beach in Goa, India. The hotel blends the architectural wonder with contemporary feel with its large grandeur and luxurious living. The hotel offers all premium facilities and world class services such as well-appointed luxurious rooms and suites overlooking the lush green gardens and beach, delightful dining in multi-cuisine restaurants, azure swimming pool on the second level of the hotel, wi-fi facility, gardens, airport transfers and more such excellent facilities and services with genuine old Goan – Portuguese hospitality which will make one feel at home away from home. The Glitz is an ideal destination for a perfectly refreshing Goan holidays. Note: Prices vary depending upon the period and the plan chosen. Visit hotel official site for full details. If you have not decided yet or wants to customize tour itinerary or hotels listed above in "The Glitz Calangute Goa Tour Package", then we can change the travel itinerary and make a personalized, tailor-made holiday package, especially for you. We can modify this travel package as per your itinerary, budget, duration and the tourist places you would like to visit, including transportation and airfare should be included or not. Please fill the form below to contact us.